With games becoming an integral part of society, their potential to transform students’ experiences in school is also growing. According to a survey conducted, approximately 155 million students play video games regularly. A student may play for hours on an end but are unwilling to spend more than 15 minutes on doing homework or studying for exams. Therefore, they’re more likely to respond to the use of games in other settings, especially classrooms. These gaming elements like challenge, cooperation, feedback, rewards etc can be easily extracted from its content and implemented into the teaching process for more engagement. 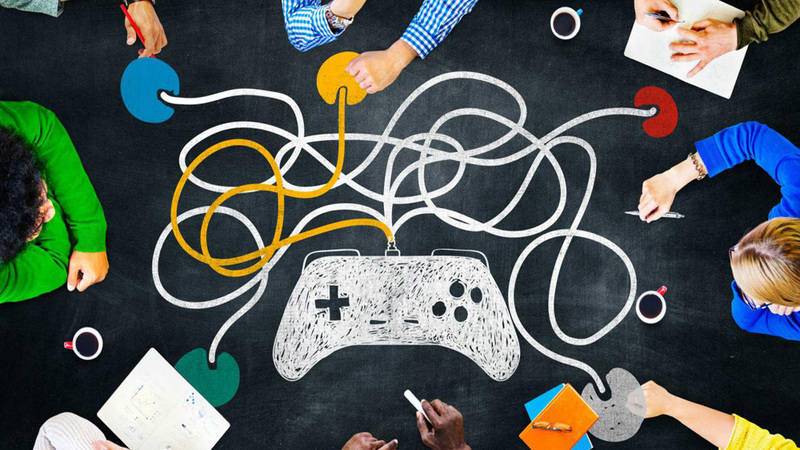 Here’s how you can drive more student engagement to your education franchise via gamification. Old-school games such as Scavenger hunts, bingo, dice games, and Scrabble can be adapted for classroom learning. Students can play Scrabble, while working in groups, by spelling out answers to content-specific questions. You can also create digital scavenger hunts by sending students off to take pictures, create a video, or search for an answer online related to a specific topic. This way, each assignment and test will feel rewarding. Badges are public recognition of mastery and achievement. For each assignment completed, award the students with points and badges to track progress and encourage perseverance. This goes beyond grades because they represent more than just academic achievement; Badges mark a student’s completion of a lesson or mastery of concept or skill. In video games, if a player loses a level or challenge, they get another chance or life. Users are able to learn from their mistakes, try again, and succeed. Similarly, students should be allowed second chances. Students should be able to try an assignment again if he/she fails. This motivates them to learn for themselves in order master skills and raise achievement while eliminating the pressure or stigma of failure. Failure is an essential component of success. By gamification in your curriculum, students will be able to embrace their mistakes and learn from it feeling dejected or unmotivated to try again.